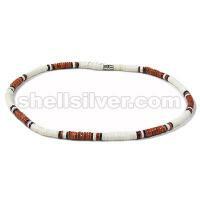 Necklace 18 inches in 2 mm glass beads cream and pink, 8 mm coco pukalet fuchsia with splashing lilac and pink with nasa shell white. 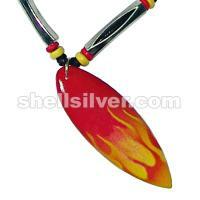 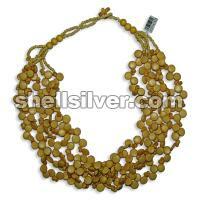 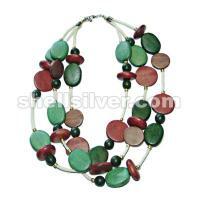 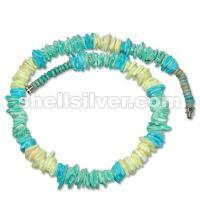 Necklace 16" w/ 4-5 whiteclam heishi alt. 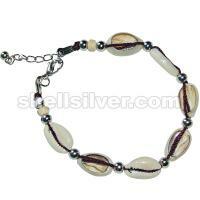 w/ brown & white.